It happens even to the best of us. 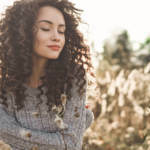 No matter how much effort and TLC we put into styling our hair, or how much we invest in quality hair care, the seasonal humidity can always creep right in and undo all of our hard work. This is just a frustrating fact of life…or is it? What if we told you there are ways you can easily strike back against the frizziness plaguing your hair throughout the fall months? Skeptical? Well, let us convince you through this list of easy, frizz-fighting tips to unleash this season! Sometimes a huge factor in how well your hair handles the fall humidity lies in how strong and prepared it is. 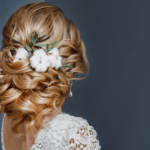 Oftentimes we don’t give our hair enough of a safeguard against the weather, leading to frizzy disasters and other problems that ruin our perfectly coiffed hairdos. If your hair is naturally on the thicker side, a sturdy leave in conditioner will become your new best friend! You can use it and related products to deep condition your hair on a regular basis. This will ensure your hair has enough moisture so it has no need to go sucking up moisture from the air around you, thus lowering the chance of a surprise fall frizz. For those with thin hair, hot oil can work a different, but just as helpful, kind of magic! Prior to starting up your regular washing routine, just apply the hot oil to your hair. This will give your strands extra strength, allowing it to more easily combat frizz and stay in the style you intended. Of course, upping your regular washing routine won’t always be enough to protect your hair. It may very well need a little extra help. This can come in the form of a smoothing cream, which is specifically designed to prevent frizz and keep your hair sleek, or other hair products for Remy hair. 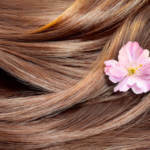 People with thin hair may find oil treatments and styling sprays work best for keeping their hair manageable in the fall. Certain hairstyles are far more protective than others. This includes braids and buns, which can create a smoothing effect that will leave your hair looking much neater overall. Say goodbye to those unsightly cowlicks and hello to cute fall hair instead! We understand you’re a busy person and may not always have the time or energy to devote to providing quality hair care in the mornings. If this is usually the case for you, letting your hair set overnight may be the better option. This entails going along with your usual washing routine, then adding styling cream to your hair before bed. Bundle your hair into a bun before you drift off to sleep, and you’ll wake up to sleek and smooth waves the fall humidity won’t be able to touch! We hope these tips will help you better manage your hair in the face of fall. For other tips on how to prep for the season, as well as help your hair thrive all year long, get in touch with us! Scalp Tattoos: A New Solution to Men’s Hair Loss?